Blog What is the Snack Pack? The term snack pack refers to the three local listings shown in a Google organic search result that relates to local goods and services. Do a search including a location keyword, or a search for goods or a service that is typically local in nature. The results will show a map and three business who have a business within the map area. For example, search for simply ‘plumbers’ – you get a ‘snack pack’. Click the ‘More places’ link to view all location based results for your chosen keyword and the location you are in, up to 100. 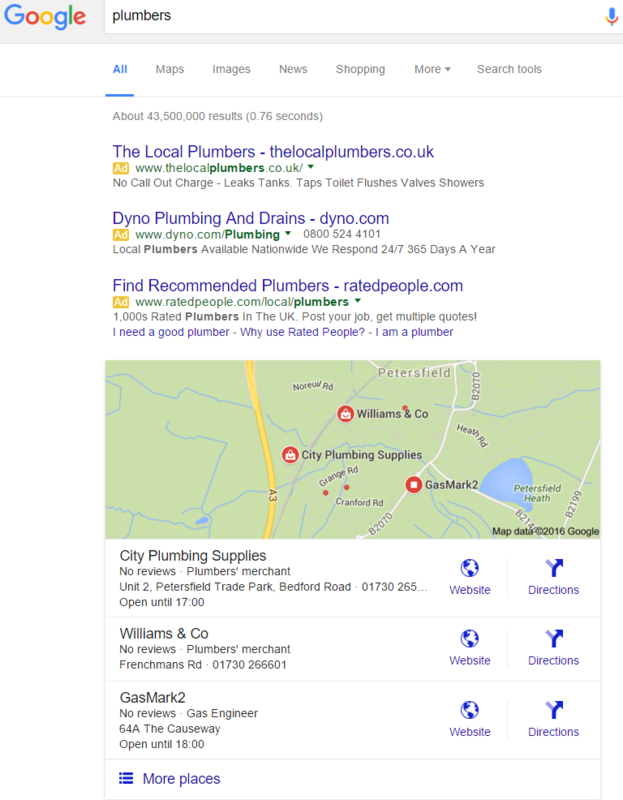 If you reside in Portsmouth for example, and search for “Plumbers Winchester”, your snack pack and local listing results will be for Winchester, not Portsmouth. However using a location keyword plus a service in one location, will give different results to another; Google won’t always return the same results as doing the same search (i.e. “Plumbers Winchester”) in a different location, though the results will usually be similar. While the snack pack as we know it has shown 3 listings, that was not always the case. It was only a few years ago that Google listed 7 websites in this area of the SERPS. That meant back then, it was easier to appear on the front page. 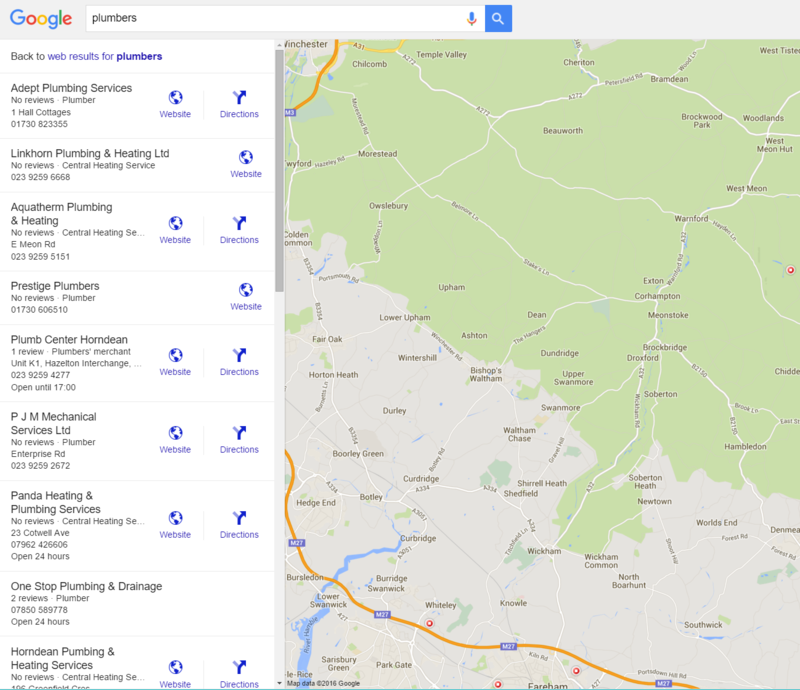 Some areas and types of business only had 4-5 results in maps. For those, even the lowest ranked would be on the front page. You only had to be showing somewhere in the top 7 map listings, rather than in the top 3. The date they changed this pack from 7 to 3 listings was early August 2015, as reported on search engine land. Since then, for sectors and locations with a lot of local business, competition has hotted up. So if you asked “what is the google snack pack” hopefully now you have your answer!